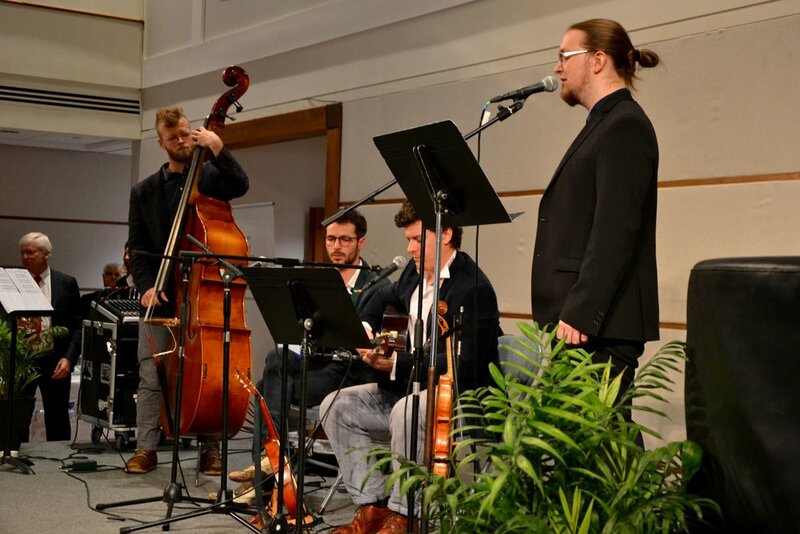 “Oh Hanukkah, oh Hanukkah, come light the menorah” – when the Austrian band “Die Wandervoegel” chimed in, people began to cheer, clap and sing along as dignitaries lit the candles at the joint annual Hanukkah celebration of the Austrian Embassy, the American Jewish Committee (AJC) and Access DC (AJC’s local young professional program) on Tuesday, December 4, 2018. 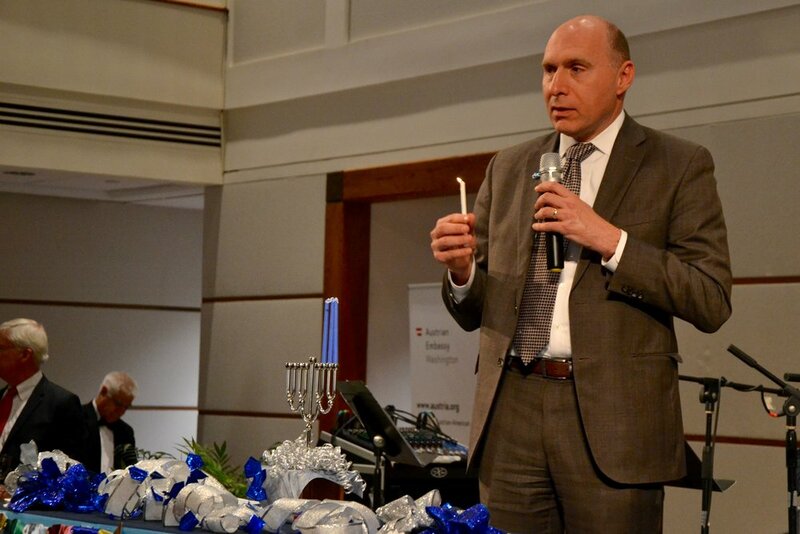 The celebration reached its climax when AJC Washington Director Alan Ronkin lightened the Shamash candle: As the crowd started singing, he handed the candle to the Austrian Ambassador Wolfgang Waldner, AJC Washington Vice President Linda Rosenzweig and AJC Access DC President Susan Chusyd who proceeded to light the three candles of the Menorah. For the rest of the evening, as “Die Wandervoegel” continued playing, children enjoyed the dreidels while guests gathered over Austrian wine and beer as well as quiche, falafels, blinis and a variety of other delicious parve dishes.